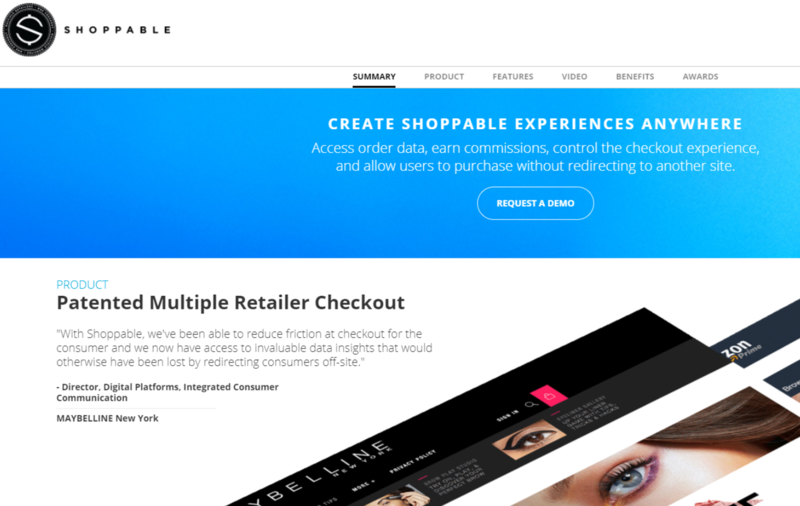 Shoppable is an internet technology company that focuses on improving the checkout experience across multiple retailers around the web. part_number Returns the part number passed. brand Brand of the product. merchant Merchant selling the product and the party handling shipping. merchant_id Id of the merchant. description Long description of the product. url Affiliate link of the product. merchant_item_id part_number as used by the merchant. customer_service_url Customer service URL of the merchant. active Availability of the product on a specific size and color. Products may be unavailable due to it being out of stock or poor feed data. colors Array of available colors with price for a product. Each color also has arrays of images and sizes. image General image for the product. retail_price retail price of the product for a specific color of the product..
sale_price Sale price of the product for a specific color of the product. This attribute will only be present if the product is on sale. discounted_price Sale price of the product after coupons are applied. This attribute will only be present if the product is on sale. price The lowest price for the product this will either be the retail price the sale price or th discounted price. coupons An array of coupons that are acceptable to this product. This array includes the type of coupon($off,%off,free_shipping), threshold (whiich is the threshold when they are applied, and the amount saved. weight Item weight when available. dimensions Item Dimensions when available. alt_images Alternate images of the product such as from different angles and/or colors. free_shipping Whether shipping by the merchant is free. shipping_charge Shipping charge for this product. color Available color for given product. id This is the SKU of the product of the specified color and size. This number is the most unique identifier of a product in a feed. size Size of the product for a specific color. upc Upc code for this specific product variation. Shoppable only accepts files directly to their API. In order to integrate with the API you will need to embed frames on your site. In order to embed the frames you will need an API token issued from 72Lux. To generate an API token for your domain, login to the Publisher Dashboard. Once logged in navigate to Account -> API Tokens. Enter your domain into the input box and hit Generate Token. Need help in optimizing your feed and getting it to Shoppable? We can help, feel free to contact us below. Need Help With Shoppable Feed Management?